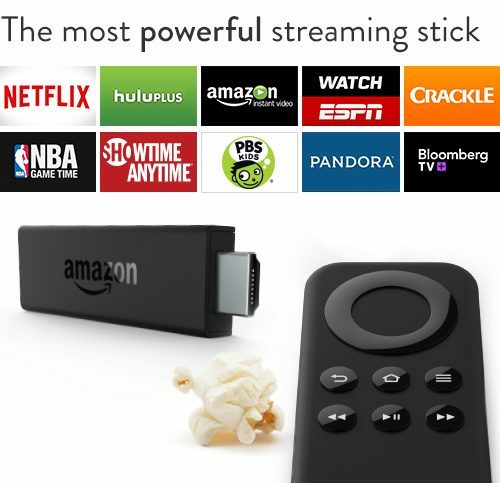 Amazon Fire TV Stick Only $19 For Amazon Prime Members - 2 Days Only! You are here: Home / Great Deals / Amazon Deals / Amazon Fire TV Stick Only $19 For Amazon Prime Members – 2 Days Only! Amazon Fire TV Stick Only $19 For Amazon Prime Members – 2 Days Only! If you’ve been looking for a way to stream Netflix, Amazon Prime shows and other programs but don’t want to pay as much as a Roku and other similar devices cost? If you’re an Amazon Prime member, you’re in luck – for the next 2 days, you can pre-order the Amazon Fire TV Stick for just $19 (reg. $39)! This is compatible with HDTVs. We’re planning on getting an HDTV by the end of the year, so I want to grab this at this crazy good price so we already have it on-hand to use! Fire TV Stick connects to your TV’s HDMI port. It’s an easy way to enjoy Netflix, Amazon Instant Video, Hulu Plus, YouTube.com, music, and much more. Free 30-day Prime trial—Unlimited access to thousands of popular movies and TV episodes including award-winning series from HBO and exclusive titles like Alpha House, plus new Prime Music.